Having a multidisciplinary team at your fingertips offers you a level of comfort that is hard to find at other firms. With over eight decades of combined industry experience, we have coached and helped individuals, couples, families, and businesses through a variety of financial and planning issues. Our team consists of four financial professionals each certified in a different discipline, another four associates solely dedicated to providing outstanding support services, and you, the most important member of the team. Even the most sophisticated client finds it challenging to keep up with the ever-changing investment and financial landscape. Let our team take some of the burden off you. To learn more about our team members, click on My Team. We look forward to serving your needs. Steven A. Tennant named one of the best advisors. Again.— His dedication and passion for doing what’s right for his clients has made him a top financial advisor in the industry. Congratulations! Finding the right advisor can be difficult and time consuming. Thankfully, there are many alternatives to choose from in today's marketplace. 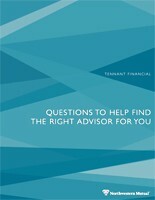 To help navigate through the process, we have developed a comprehensive list of questions designed to guide you toward the right advisor for you. 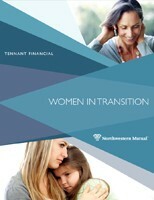 At Tennant Financial, we have extensive experience assisting women during challenging times and find satisfaction knowing we can help when you need us the most. Whatever your specific concerns, we can assist you in gathering all the information and can provide the education needed to make sound decisions. 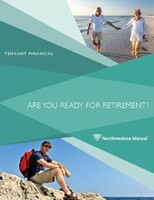 Planning for retirement can feel like an overwhelming task. At Tennant Financial, we help you make retirement planning a priority by breaking the process down into small, doable steps. Once the plan is put in place, we coach you to stay on track by maintaining a long-term perspective and update the plan when necessary. 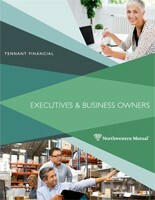 Tennant Financial understands what it means to run a business. Whether you’re a corporate executive, 2nd generation business owner, or a doctor juggling patient care and a practice, we understand the typical concerns and difficult decisions you face every day. 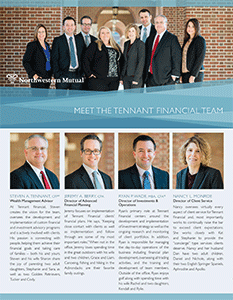 Steven A Tennant uses Tennant Financial as a marketing name for doing business as representatives of Northwestern Mutual. Tennant Financial is not a registered investment adviser, broker-dealer, insurance agency or federal savings bank. Northwestern Mutual is the marketing name for The Northwestern Mutual Life Insurance Company, Milwaukee, WI (NM) (life and disability insurance, annuities, and life insurance with long-term care benefits) and its subsidiaries. Steven A Tennant is a Representative of Northwestern Mutual Wealth Management Company® (NMWMC), Milwaukee, WI (fiduciary and fee-based financial planning services), a subsidiary of NM and federal savings bank. All NMWMC products and services are offered only by properly credentialed Representatives who operate from agency offices of NMWMC. Representative is an Insurance Agent of NM and Northwestern Long Term Care Insurance Company, Milwaukee, WI, (long-term care insurance) a subsidiary of NM, and a Registered Representative of Northwestern Mutual Investment Services, LLC (NMIS) (securities), a subsidiary of NM, broker-dealer, registered investment adviser and member FINRA (www.finra.org) and SIPC (www.sipc.org). Steven A Tennant is primarily licensed in New York and may be licensed in other states.